08:55 hrs: Arrive Bangalore airport. Upon arrival you will be met and transferred to your overnight hotel for an Overnight stay. A short tour of Bangalore. 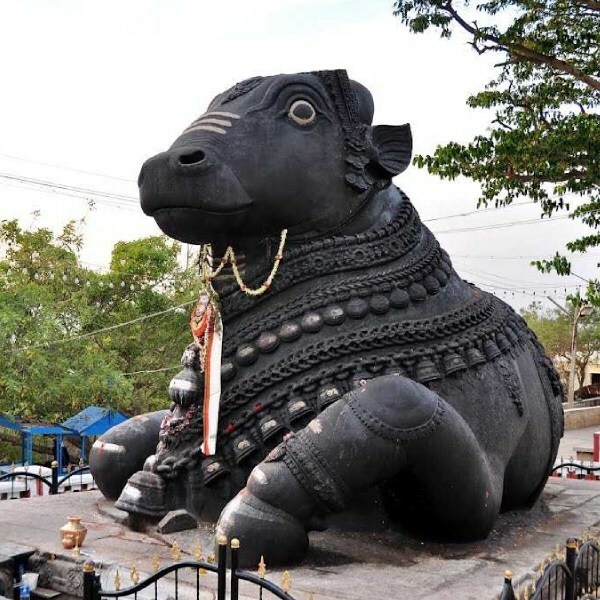 Constructed in the 16th Century- It has been named after the gray granite sacred bull Nandi, carved out of a single block. Vidhan Soudha – It is a four storied building. It houses the state Legislative Assembly and part of the Secretariat. The main feature of this building is its architectural style- acombination of traditional and modern styles. The building is illuminated on Sunday evenings. Leave Bangalore’s glass citadels behind on ever narrowing roads to hit the hills of Chikmagalur, Coffee Country. Chickmagalur is a forested hilly region set against a mountainous backdrop of the Western Ghats, and now famous for its coffee plantations, being the place where coffee was first grown in India. It also carries a long history. This charming hill station was the cradle of the powerful Hoysala Dynasty. Upon arrival at Chikmagalur check in at your hotel. Drive over to Belur and Halebid after lunch. Belur and Halebid are UNESCO World Heritage sites. Halebid was the 12th century capital of the Hoysalas. The Hoysaleswara temple was built during this time by Ketamala and attributed to Vishnuvardhana, the Hoysala ruler. This is a day for some more history, to go back into time. Another UNESCO heritage site awaits. The aweinspiring Jain monuments gives you a view of the world’s largest monolith at Shravanabelagola. Get back to explore the music of the hills, in an amazing coffee tour. Get educated, get inspired, get some great coffee. Drive to Mysore, the cultural capital of Karnataka, is one of history’s oldest cities, boasting the beautiful Brindavan gardens as well as royal palaces, and throbbing with life, commerce and activity. Here you find spots of old-world charm untouched by modern living. Upon arrival at Mysore, check in at hotel for 2 nights stay. Get ready for your tryst with royalty. 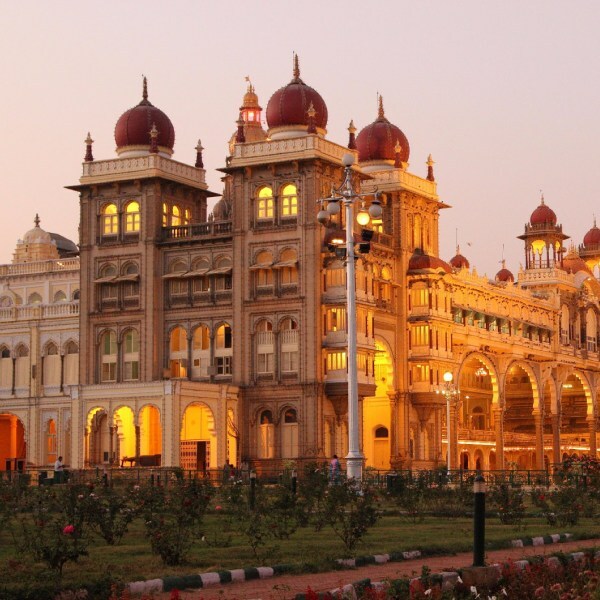 The Mysore palace is one of the most visited palaces in the world. It was the official residence of the former royal family of Mysore, and also housed the durbar (royal offices). Also take a stroll around the beautiful Brindavan Gardens, a much-talked-about botanical park, full of exciting fountains, as well as boat rides beneath the dam, built by the Diwans of Mysore. See if you can catch the musical fountain. crocodiles, reptiles and almost 300 species of birds. Our resort unfurls on the banks of the Kabini reservoir, and offers great views of the mountains as well as interesting rides out by boat. 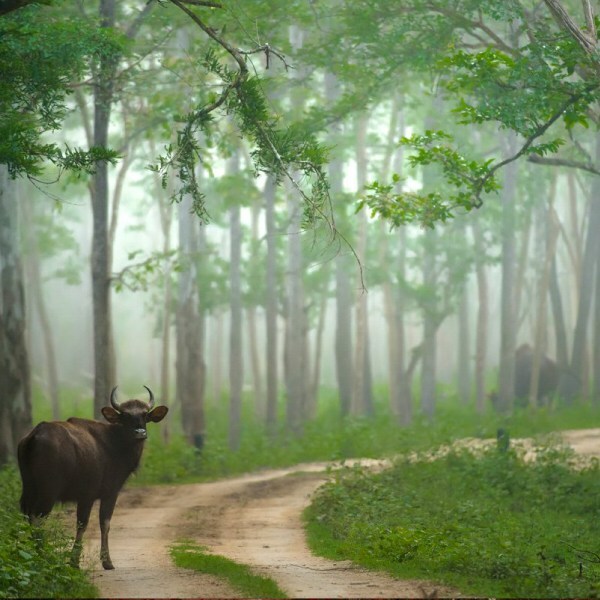 Get ready for life-changing moments during the wildlife safari at Nagarhole National Park, followed by hours of pampering at The Serai – its spa and its restaurants and its bar overlooking the river/ mountains. Upon arrival at Kabini, check in at hotel. Get up close and personal with Nature through a guided Nature Walk with our trained professional naturalists, and get acquainted with various plants, and spoor of animals. Go on the enchanting wildlife safari once again. Ooty, the erstwhile summer headquarters of the British government. Lush green valley, terraced lantations and a pleasant climate makes Ooty one of South India’s most popular hill stations. In the morning board the Nilgiri Mountain Railway – toy train to Coonoor, travelling across plantations and forest clad hills with breathtaking views. 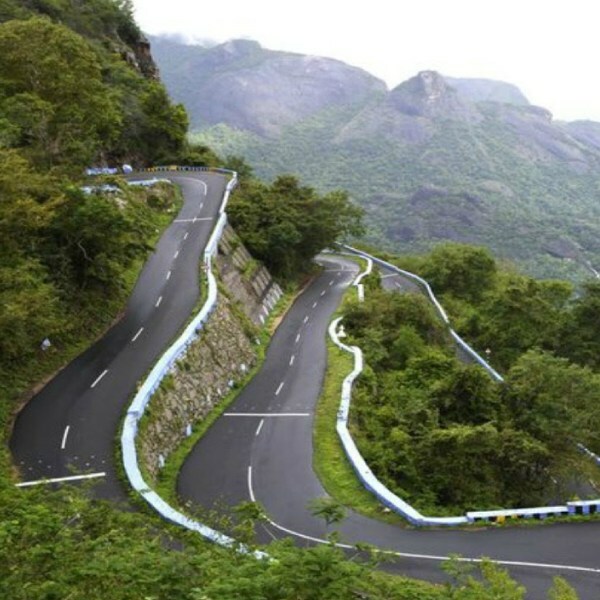 Return back to Ooty viaroad to enjoy the sights of this lovely hill station. Drive to Coimbatore in time to board your train to Cochin. 16:55 Hrs: Arrive Ernakulam railway station. 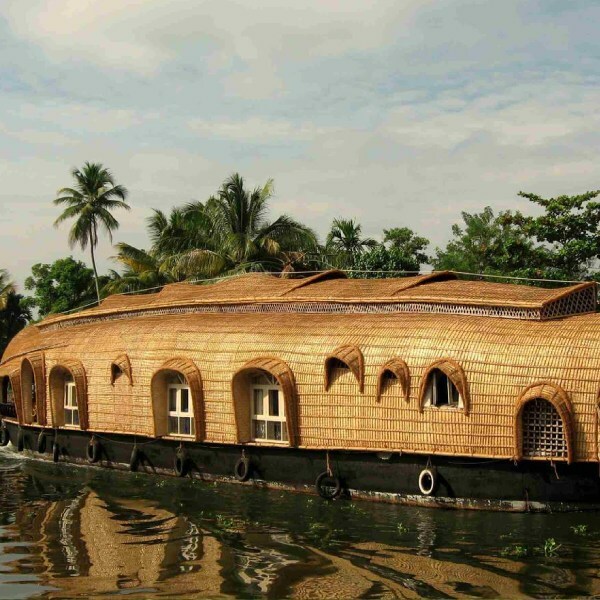 Meet and welcome at Ernakulam railway station and transfer to hotel for a 2 nights stay. Evening cooking demonstration and dinner with local family. In time transfer to Cochin airport to board flight for London Heathrow via Dubai.